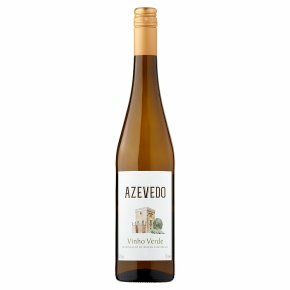 This is a crisp, light and fresh wine made from Loureiro and Pedernã grapes in the Vinho Verde region of northern Portugal. This is deliciously fresh and fruity with attractive citrus notes and a crisp apple skin character. Perfect to drink on its own it would also match well with fresh seafood. Wine of Portugal. Original legacy wines. This wine, originating from vines belonging to and surrounding the Azevedo Estate, is produced from a meticulous selection of the Loureiro variety. Bright and light citrus color, with a complex aroma featuring notes of citrus and fresh tropical fruits. The palate is fruity with an integrated and invigorating acidity, showing an excellent balance between all the components and a long finish.